Your District Level Interviews will be taking place December 1st 2018 at The Inn at Laurel Point, Victoria, Canada, a 5 minute walk from the Coho Ferry Terminal in Victoria. The interviews are an opportunity to greet and review the candidates recruited by the individual clubs for Outbound Exchanges from District 5020. The meeting begins with an informal gathering for Youth Exchange Officers the Friday night before. Then the actual interviews will be on Saturday. The Outbound Candidates and their parents/guardians will be interviewed by a panel of Rotarians and Rebound Students. The students will reconfirm their country requests; if selected the student will be offered a placement in a host country. This will also be the first chance for candidates and their families to meet with the District Committee. From this point forward, the placement and exchange details for each student will be handled by representatives of the Committee. Please note that meals and accommodation are at the expense of the Outbound Candidate’s Parent for their family and student except for Saturday's lunch. A student photo will be taken during the day for use on their business cards. 9:30 AM Registration and get acquainted for candidates and families already arrived. 9:50 AM COHO Arrives from Port Angeles. 10:20 AM Panel members and Inbound Student monitors to interview rooms. Looking To Stay Over In Victoria? Should any of the Outbound Candidates and their families wish to stay overnight in Victoria during this weekend, they will need to make their own arrangements. No rooms are being held or paid for by the District except for the Committee. The district level interviews will be taking place in a new facility this year: The Inn at Laurel Point; 680 Montreal Street, Victoria, BC V8V 1Z8. There are a block of rooms being set aside that are available for early reservation but will be released November 5th, 2018. You must let the Inn know you are with the Rotary group. The Inn at Laurel Point is located about 3 blocks from the COHO Ferry Terminal. For US families exiting Canada Customs, just come up the stairs to Belleville Street. Proceed west (right) and continue onto the Laurel Point Path. Turn left at Montreal Street. The hotel is on the right. 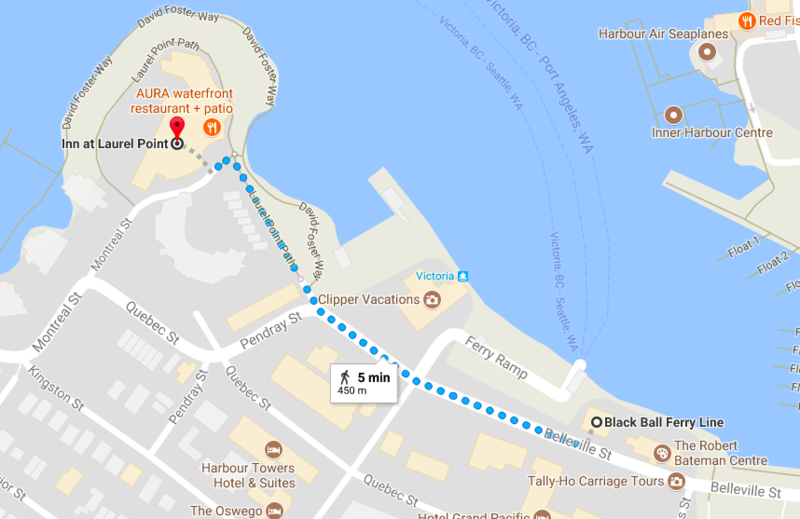 If you are bringing your car off the ferry you will need to turn right on Belleville, take a slight left onto Pendray Street which will curve to the right and turn into Quebec Street. Turn right on Montreal Street and the Inn will be on your left. 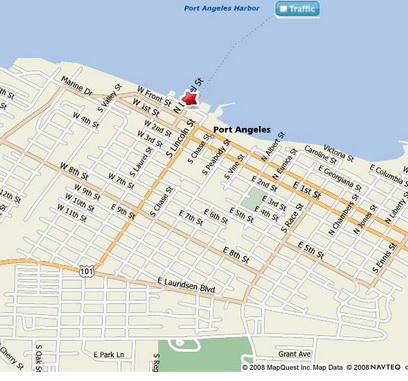 For Canadian families, come down the Island Highway, proceed south on Douglas Street to Belleville. Turn right at Bellville take a slight left onto Pendray Street which will curve to the right and turn into Quebec Street. Turn right on Montreal Street and the Inn will be on your left. There is limited parking around the hotel. Your Rotary Youth Exchange Officer is responsible for registering you for your district level interview. If you have questions, please contact them first.